Friday has sure come around quick this week. Only another week to go before we are on Create and Craft again for the weekend. 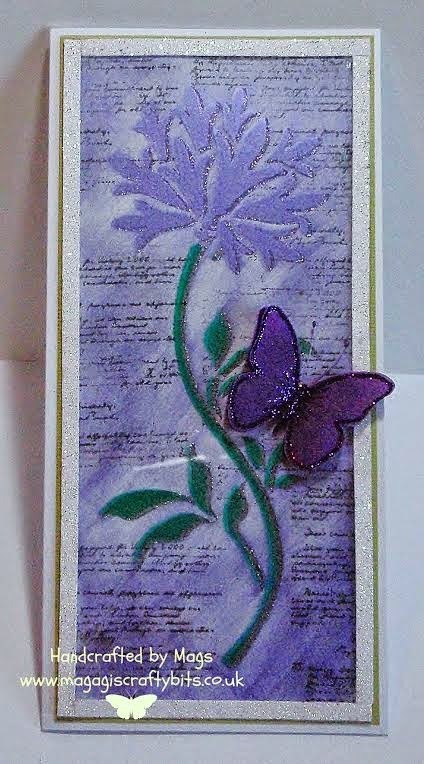 Today we are showcasing Mag's card which she has done some Shadow effect which Sue demonstrated the last time she was on Create and Craft. Created the background using Silkies and a script stamp. Attach the Sparkle Medium Piece onto light green card and the lay the acetate over this. Offset a little bit so you can just see the Sparkle Medium behind the acetate and Silkies. How is your week going? We have been busy as have our design team too! Today we are sharing Christine's project she made for our current challenge. The butterflies look fabulous don't you think? 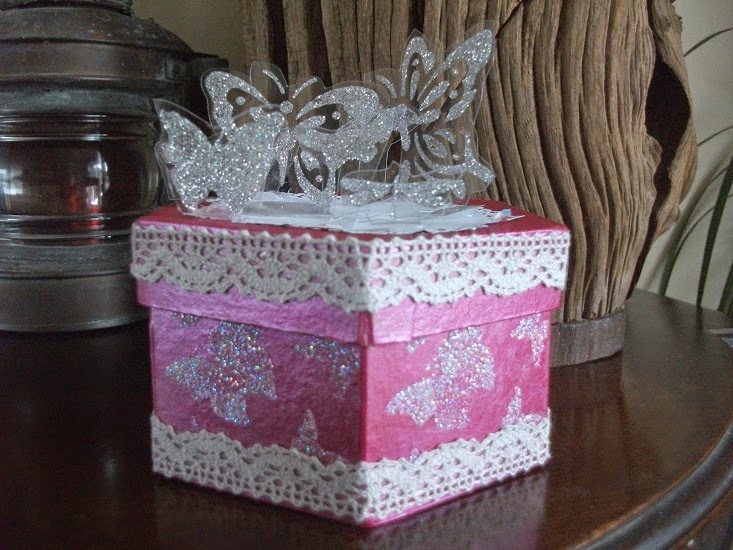 Hop on over to Christine's blog to see how she has created this box! We hope you are all enjoying your long bank holiday weekend and managed to get some crafting done. 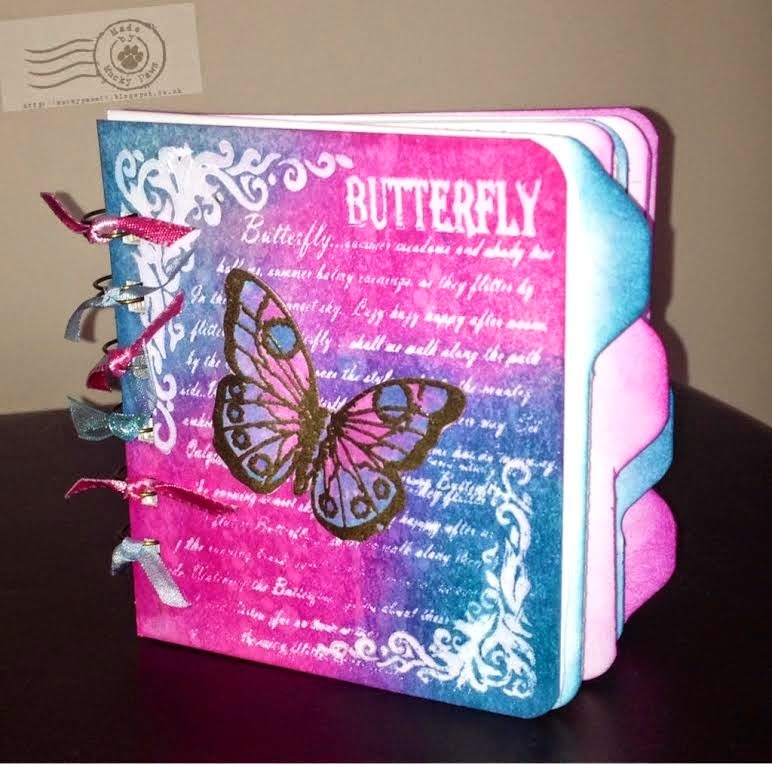 Today we are sharing Kath's beautiful journal she has made. We love the colours on this, what do you think? Products Kath has used to make this journal.